I just need an 8-passenger vehicle. Really like Hondas and pretty much have eyes on a Pilot. So are they reliable? Looking at an '09 right now that is a good price with 140k miles. Would you buy a car with that many miles? Some will say to be warned about Honda V6 with VCM and oil consumption. Other will say they drop their transmission like moths around a light at night. I'd say do your research or pick a young enough that can be warrantied. 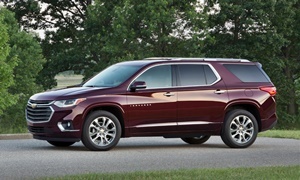 Otherwise pick something with a larger 3rd seat and cargo space like a Traverse, Acadia, or Enclave. My son and his wife have 6 kids(!) (3 birth/3adopted) They have a Honda Pilot and a Ford Transit. So- both cars will seat 8 but for trips the (12 Passenger) Transit gives them much more space and flexibility, and is surprisingly quick with the ecotec engine, with good mileage as well. They love them both. They also considered a Nissan NV 2000 Passenger, but it was more cost and uses considerably more gas than the Ford Transit. They are very happy with both vehicles, and have had no problems with either. They both handle well- but the Transit IS a behemoth- more challenging to park, to be sure. "The Beast." Honda transmissions were bad from 1999 to 2004 ONLY (my 2002 Odyssey had that problem). They have been great after that. I'd say you could get at least another 75k miles out of that Honda Pilot with 140k miles. It's not the most refined SUV made in 2009, but it's durable and reliable. 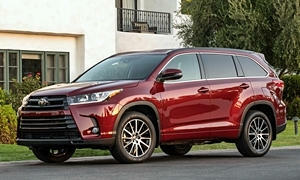 Even more reliable is the Toyota Highlander. The highlander is quiet and refined, but also a little bit smaller than the Pilot. I have two family members that both own 2009 Pilots and they love them. One of them had to replace the front right or left suspension after 30k miles or so. Try to avoid: GM cars, in fact, all American cars. In terms of reliability and overall quality, they don't compare to Asian car brands. 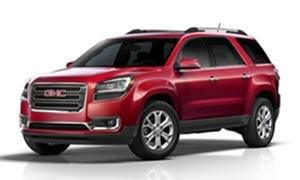 The Buick Enclave, GMC Acadia, and Chevy Traverse are well-known cheap rental cars. I was unimpressed with my 2015 Chevy Traverse LTZ. It got 15 MPG. Lectrofuel, you need to be brought up to date on GM products in the last decade or so. 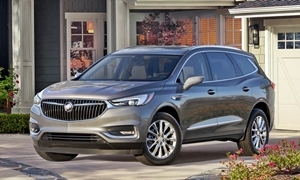 Aside from Chevrolet being the most awarded car company, the Lamda triplets (Traverse, Enclave, and Acadia) rule the sales race in 3-row crossovers outselling everybody for some time. I endorse and buy their product because it is best for the price. GM has lowered it rental fleet over the years unlike Toyota who have hored out the Camry to 1/3rd sales. Now the RAV4 is following the same route this year. @NormT I respect your opinions, but it sort of seems like you are advertising Buicks and GM cars as if you work for GM with every recommendation. They are heavily discounted at great prices and GM has gotten much better in the last five years (much better than Chrysler) with the help of the Malibu, Cruze, Impala, and almost the entire Buick line. They often beat others in price, but quality and reliability of the product is still important, if not more important. Car buyers should look at a wide range of automakers, not just GM. I'm sorry if I came off as rude in my last comment, but you should branch out your recommendations with other car brands, too. @Member1909 After thinking a little more, that Pilot you are asking about might not be a smart choice. That's a LOT of miles for a car you are buying, which you'll put more miles on. If you get it for a great price, then it could be a good buy. The first year of redesigns for most cars have the worst reliability of their model run because of production issues/quality control. 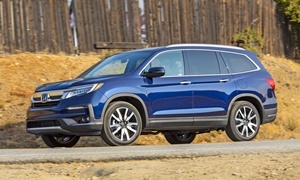 Honda is better at this than most, but 2009 was the first year of that Pilot design. I don't know your budget, but a minivan would be a worthy investment. I'd recommend a 2011 or newer Toyota Sienna or Honda Odyssey. Stay away from Chrysler/Dodge. Good luck! The domestics have improved while the Japanese fallen. Fallen so far that the data lags reality. The auction companies and dealership have supported and propped them up in order to make money off the public for too long. The Japanese have led the recall race for most of the last decade and recommending Subaru, as some have here, from the last 5 years with their oil consimption, cracked windshilds, puffing blue smoke, tinny sounding interior of my then girlfriend's 2012 Forester without warning of side effects is irresponsible of a fellow enthusiast or owner. Being a Toyota owner like being a paid beta tester for that company with all of their recalls. GM gas one major recall this last decade and it's ignition did not really need to be recalled as having only a few keys on the ring does not bother or wear the iginition. None of my cars have gone in for that work. I average one new/used car a year and have not gone in for repair since my 2005 Pontiac GTO had to have it's power steering pump replaced. There were a number of us having them replaced as it got noiser but never failed. My cars range from German, Swedish, and domestic brands and assembled from all developed countries. I don't represent but do back the best deal to the buying public based on personal experiences of the last 30 years. Most cars have quirks and small flaws. We can follow forums and bulletin boards and see these trends. Some cost the customers money out warranty, some not any cost. But recommending one model without mentioning a costly engine problem like Subaru failing ring lands, or Honda V6 VCM oil consumption, or late model HMC failing 9-speed tranmsiasion, Focus automatic transmission issues...should not go ummentioned. And I'll continue to point out possible flaws in them all.